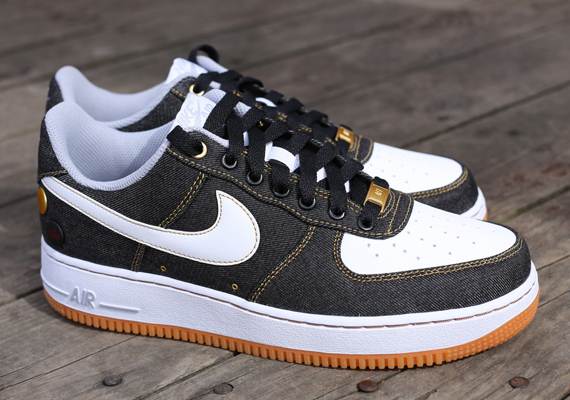 Nike Sportswear introduces yet another denim-covered AF1, this time working with a premium black denim and gum rubber accents. Similar to the recently released 'Acid Wash Denim' Air Force 1 Low, this all new look by Nike Sportswear rocks a full denim upper with premium leather Swoosh logos to match the toebox, and Nike-branded pins. 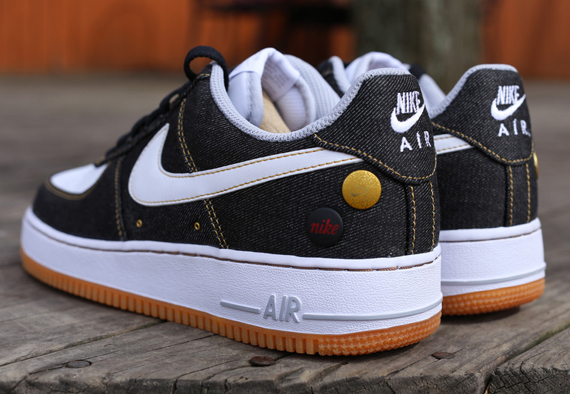 The Black denim build is topped with white leather, while a white/gum classic AF1 sole sits below. 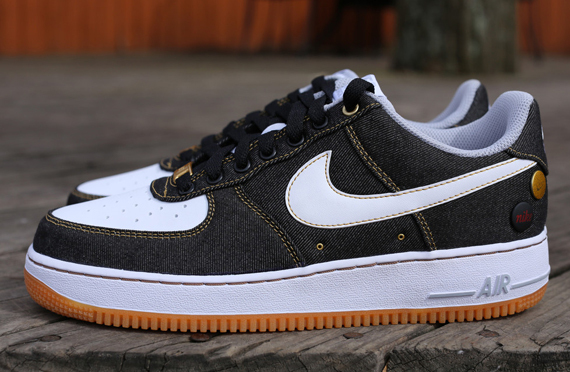 The 'Black Denim' Nike Air Force 1 Low is set to hit select Nike Sportswear accounts this Saturday, March 22nd.